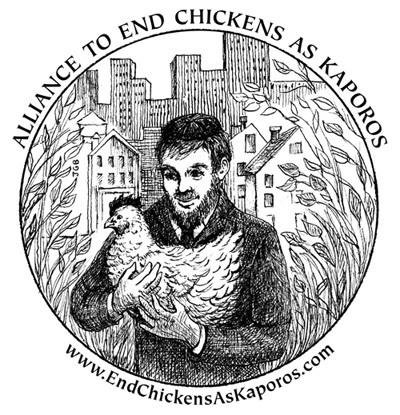 Kaporos (also spelled kapparot) is an annual ritual that takes place for five days on Brooklyn public streets prior to Yom Kippur, the Jewish Day of Atonement. 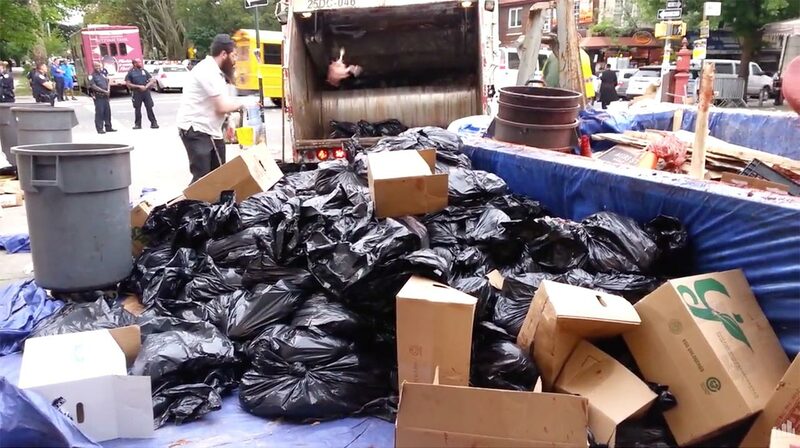 Over 60,000 chickens are trucked in from factory farms to be ritually slaughtered in residential Brooklyn neighborhoods by certain sects of Chasidim and other ultra-Orthodox Jews. 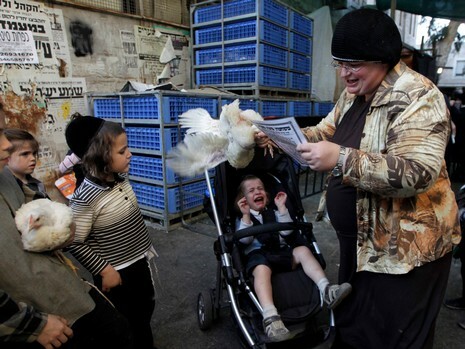 Live chickens are swung over a practitioner's head while a passage is recited. Then the chickens' throats are cut, and they are bled out and thrown into garbage bags, often while still alive. Although participants are told the birds' bodies are donated to the poor, video and photo documentation show most end up in dumpsters. Even if the chickens were donated to the poor for human consumption, such a use would open a plethora of both federal and state health code violations. Photo Credit: The Gothamist. Read the article here. 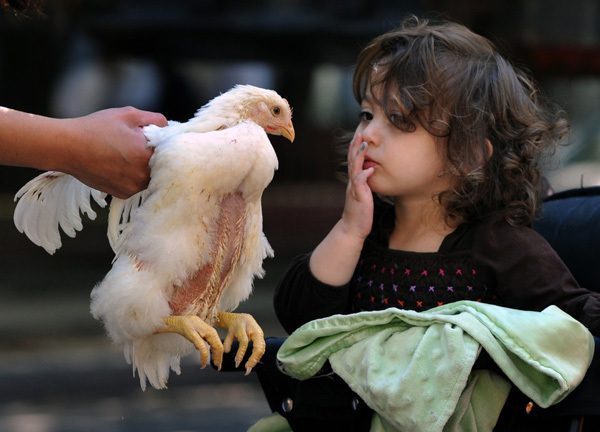 The handling and killing of these birds in this manner is cruel to the birds. The birds are stacked in crates for days without food, water or shelter. During the ritual itself, the birds are grasped by their wings and raised overhead, often breaking their wings and ripping their tendons. Photo credit: Carol Guzy. See the photos.